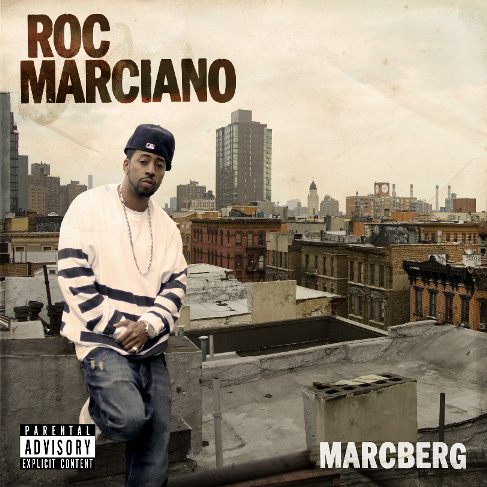 "No man can stop me, or walk a mile in my beef & broccolis..."
Listening to Roc Marciano’s long in the works Marcberg. If you’re familiar with this L.I. rhyme spitter (The UN, ex Flipmode member), know that Marcberg is as good as you would come to expect. Strictly slick mouthed raps over sordid but nod inducing beats (all produced by Marcy, too). It’s worth your while to get familiar, and cop it when it drops on The U.N. Music/Fat Beats. Performance footage of “Snow” below, tracklist after the break. it is time to be happy. I’ve read this post and if I could I wish to suggest you some interesting things or advice. Maybe you could write next articles referring to this article. I want to read more things about it! It’s an remarkable paragraph in support of all the internet people; they will get advantage from it I am sure.